Nature Bliss Pro is created with environmental green businesses and non-profit organizations in mind, but not limited to those arena only. It is a beautiful and outspoken theme for nature-oriented businesses and brands. Its fresh, earthy design is soulful yet professional at the same time. You will be able to construct compelling pages for wildlife preservation fundraisers, organic life projects, preservation movements or other related organizations. 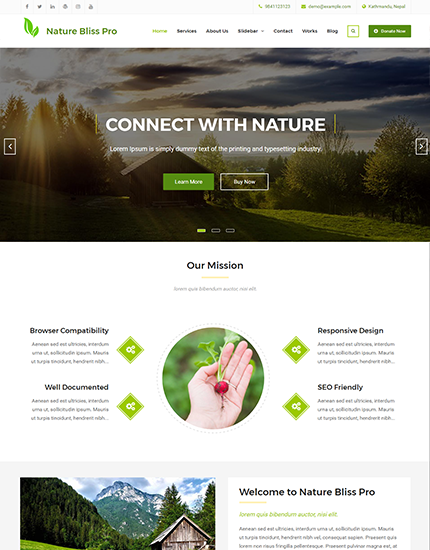 If you are looking for developing eco-friendly website, this theme is the right choice.